Tooth decay, also known as dental caries, is the most common disease in the world. It is the principal cause of cavities and often drives people to visit their family dental clinic. Decay damages the structure of the tooth, and when left untreated, can lead to pain and tooth loss. In rare cases, it can also cause death if the infection reaches the brain. Tooth Enamel: It is the hardest substance in the human body and comprises the outer covering of the teeth, mainly composed of phosphate and calcium. Dentin: It is the inner core of the teeth and has a similar composition to our bones. Saliva: This is the fluid in our mouth that keeps it healthy by maintaining a neutral environment. We have many bacteria in our mouth, some of which can cause tooth decay. They attach themselves to the dental plaque, or the whitish sticky substance that collects due to improper dental care. The bacteria alter the pH level of our mouth by producing acid, dropping the pH of the saliva. When the pH becomes too low, the minerals of the tooth enamel start to dissolve, leading to tooth decay. You might wonder why, despite having similar lifestyle and habits, some people get cavities while others don’t. To put it simply, the balance between disease-causing and protective factors vary from person to person and also changes with time. The key to maintaining good oral hygiene is to discover methods to lean more towards factors that promote protection. Assessing your risk of dental caries is important because not everyone has the same potential for developing tooth decay. 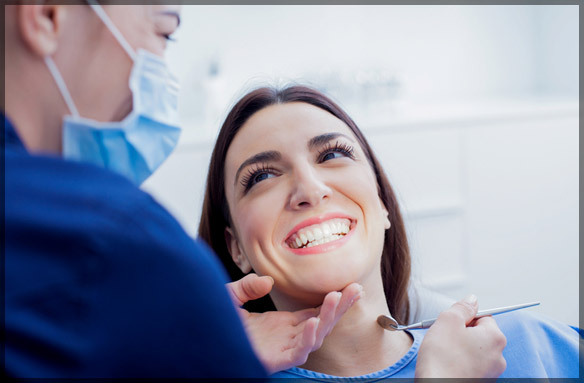 Since a ‘one size fits all approach’ cannot be adopted here, modern dentistry has developed dental care that is customized according to an individual’s dental risks. Additionally, protocols have been established based on the age of the individuals. 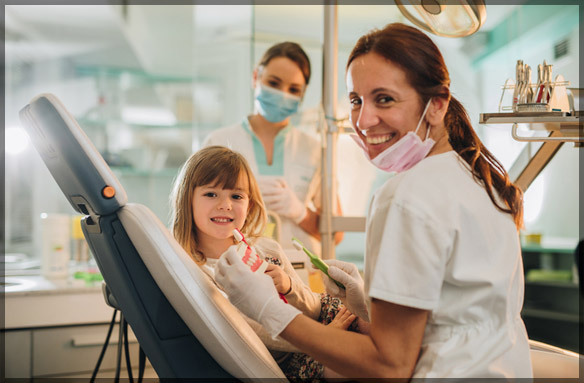 Thus, it is crucial to choose your family dental clinic carefully and ensure that you get proper advice and treatment to maintain good oral hygiene. A simple test is used to identify the harmful bacteria which can help you adopt protective measures to reduce their presence and prevent tooth decay. You can use pH neutralizing agents and antibacterial mouth rinses to reduce the risk of bacteria growth. It is important to reduce the consumption of refined sugar. Natural sugars present in fruits and vegetables are a better choice. Regularly having juices, candies, and sodas that are rich in sugar can have an adverse effect on your teeth. It is advisable to include non-carbohydrate and non-sugary snacks such as fresh fruits and salads in your diet. Applying fluoride is an effective way to prevent decay. Sealants can also be used to seal the places such as the tiny hidden pits where decay typically occurs and help prevent cavities. We understand that tooth decay can be painful and provide treatments to help reduce and eliminate it. For more information on proper dental care, please get in touch with us to schedule your appointment at Family Dental Care by calling on 613-736-5000. We also have emergency dentists in Ottawa to cater to our patient’s needs.